From reading above about my experience I want to put out a disclaimer that I’m not proclaiming to be the all mighty sportsman or outdoorsman. 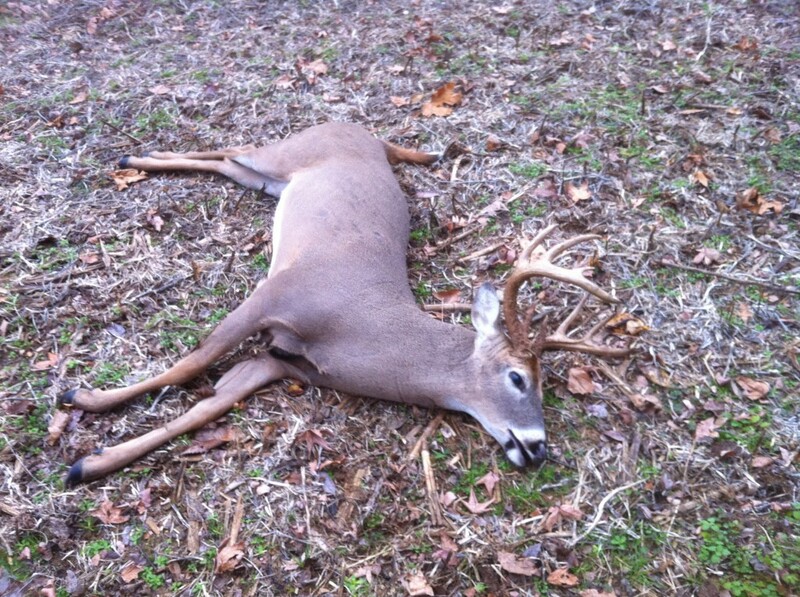 Though I welcome discussion and I don’t mind constructive criticism, I’m not trying to tell any one person how to hunt. I’m just sharing my experiences and thoughts. At the same time though, I feel that any hunter not following these ethics in some shape or form are harvesting deer unethically. So I feel being a good marksman with your weapon of choice is the first ethical thing a hunter owes to the deer (or any other game for that matter). Practice, practice, practice as often as you can. Get comfortable shooting your rifle (I’m only going to refer to hunting with a rifle because I currently only hunt with a gun. Eventually though I would like to transition to bow hunting being that it is a more traditional, primitive, and artistic method of hunting). Know your limitations and stick to them. If your having trouble hitting consistent groups past 100 yards, don’t take a shot further than that. I would recommend to a beginner to start out with a scope as opposed to iron sights. Some might recommend the opposite but I feel using a scope is much more ethical and can give you a much more accurate shot. I still feel it’s important to also practice with iron sights and work towards becoming a better marksman with them. The money shot for a deer is halfway up behind the shoulders with the deer standing broadside. Always wait for a broadside or slightly facing you broadside shot. It’s not worth it just to hit the deer. 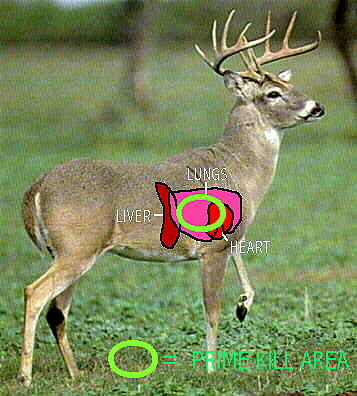 Any deer caliber rifle used will result in a successful kill if placed in this zone. It will also provide plenty of blood sign for tracking and probably will be found withing 100 yards of the shot. A head, neck, or spine shot can be a lethal shot, but it shouldn’t be what you aim for. Though they might be lethal, deer could get up from a neck or spine shot and they would be hard to track because there would be considerably less blood for tracking. Also one should never shoot a deer while it is running or walking. Always try to get a deer to stop and turn broadside by using a call (grunt, doe bleat, etc) or even whistle at the deer.